The mysterious ailment that left several American diplomats feeling ill while at the US Embassy in Havana may have been finally identified. A terrifying report released Saturday said doctors and scientists who examined 21 of the over three dozen people affected at the now-abandoned building have determined that microwaves are the "main suspect". The report published in the New York Times said that microwaves are most likely responsible for their medical conditions. Dr. Douglas H. Smith is the head author of a study into the victims’ ailments. "Everybody was relatively skeptical at first," Dr. Smith said. "But everyone now agrees there’s something there" adding that the doctors and other scientists who studied the attacks are also "increasingly sure" that the victims sustained brain injuries as a result of microwaves. The report cites the Frey effect which is named after American scientist who discovered that microwaves can make victims hear things ranging from loud ringing and buzzing to human voices. The Frey effect is also capable of affecting even deaf people. The 83-year-old Allan Frey said that it is possible microwave strikes which can harm the brain, could have been set off by Cubans. He added that such a move could have been made in support of Russia. The US embassy building in Havana, Cuba was abandoned after the attacks now stands empty. 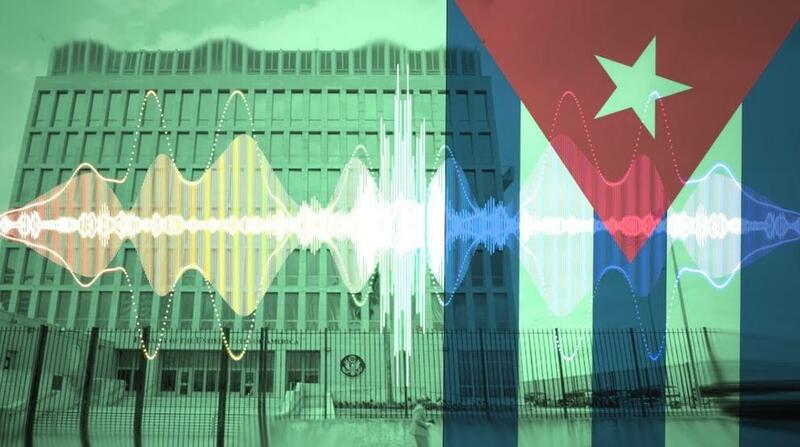 The State Department is conducting its own investigation but told The Times that it has not reached a conclusion regarding the mysterious ailments that afflicted the US diplomats in Havana. It has been public information that the Air Force has experimented with beaming intelligible words into the minds of enemies and the Navy has conducted research into using microwaves to cause "painful discomfort". It is not publicly known if any such weapons were ever deployed. So basically the cubans cooked our embassy people like they were in a microwave! I hate to say it but that's grounds for war isn't it? I believe the CIA is behind this. US attacking their own people for secret experiments and inciting war is nothing new.